Forget work-life balance are you really looking for mortgage-life balance? In the Qantas magazine this month there is an advice column which aims to help people achieve “Mortgage-Life Balance”. The subject matter of the article, a range of financial tips to pay off your mortgage quickly, wasn’t particularly engaging but the thing that got me thinking was the title. Work-life balance has long been a sought after objective for many people in the workplace. Companies are celebrated for helping their employee’s achieve work-life balance via a number of awards and the availability of flexible working arrangements are even mandated and regulated within the Fair Work Act. So work-life balance must be really important right? Interestingly, there are a growing number of people arguing against the merits of work-life balance as an ideal objective. The two most common arguments that work-life balance is no longer relevant are as follows. Firstly, there are those who argue that with the increased power of technology people’s work-time and home-time are simply not separate any more. Proponents of this argument will point out that some of the people with the best “balance” these days are able to go home a bit earlier but while they are at home they might still be doing emails, answering telephone calls etc. They argue that the notion of work-life balance is not longer valid and that work-life integration is a more valid goal these days. The whole idea of work-life balance assumes “life” is the thing that happens when you’re not at work. This is where the second most common argument takes centre stage. Essentially the second argument goes like this. People who share this second perspective say that you are at work too many hours of the day NOT to be engaged and feel like you’ve got a sense of purpose. Most of us are working for the vast majority of our waking hours. If you add in the time we spend commuting to work it would be an even greater proportion. As such, work-life balance, which assumes that work is an inherently bad thing that must be balanced with life is too simplistic. You might guess where I sit on the continuum (given it’s a Saturday night and I’m writing this blog). I believe that truly engaged employees are at work because they feel that they are making a difference in their work, they have autonomy to make some decisions and they have an opportunity to grow within the role. I think that when people are truly engaged in their work and have selected a career path which enables them to achieve their life-long goals work-life balance is simply not that important. Given my perspective I find the notion of mortgage-life balance particularly awkward. As soon as I read the term it felt to me like there was an underlying assumption that the only reason people are at work is to pay off their mortgage. 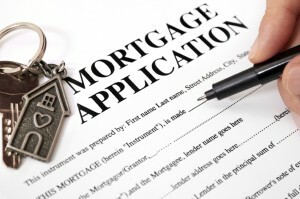 Ultimately, once that mortgage has been paid off, the assumption must be that life can begin?! Firstly, I really don’t like the idea that you can’t enjoy life while you still have a mortgage. If that was true we must have an awful lot of unhappy people in this country. Secondly, I truly believe that all of us can find fulfilment and enjoy our lives whilst at work (and earning money to pay off the mortgage). Previous Previous post: Retention: Are you at war with local media outlets?